David Baker runs a Youtube channel called Creepy Passion that deals with the supernatural and anything spooky. He is invited to a secluded mansion by Carol who is one of his viewers, as she claims that the property is haunted. Armed with his cameras, David spends several days at the property and sees nothing paranormal but what appears to be a crazy woman. Carol is constantly telling David not to disturb her grandmother, and as his investigation continues more mysterious things happen around the mansion. David puts it down to Carol and her grandmother playing a trick on him so calls Carol out on it and then leaves. Four weeks after his time at the mansion, all is not well at his own home as it would appear that whatever was at the mansion may have followed him back. Just like at the mansion though not everything can be easily explained away. For the majority of the film it is focused on Carol (Chloé Dumas) and David Baker (Nicolas Shake). Both play their respective roles superbly, but Chloé Dumas takes her role to a whole new level with what can be described as schizophrenic behaviour. 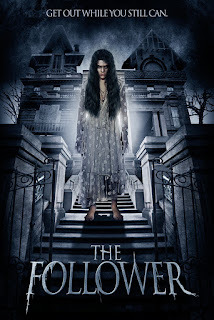 Beautifully shot, this indie film has no pacing issues and the editing is spot on leaving no time for breathers in between the supernatural elements. This is writer/director Kévin Mendiboure's feature film debut and it was shot in a remarkably short period of 12 days. Previous to this he had done short movies such as THE SHOES (2016) and THE PHOTOGRAPHER (2017) both of which showed he had the necessary talent to make the leap to feature film. 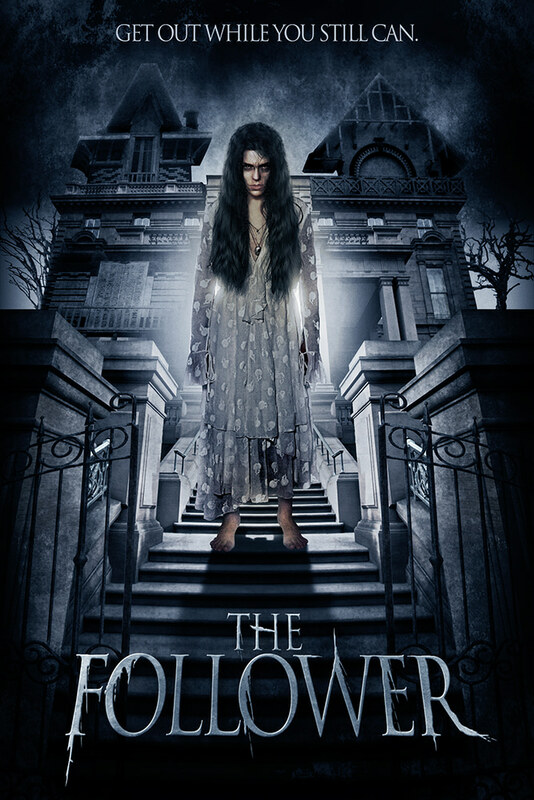 THE FOLLOWER is a brilliant feature film debut with just the right amount of twists and scares to keep even the hardest to please horror fan on their toes.